When he's not busy running the cocktail program at New York City's Maialino, Erik Lombardo is giving us the rundown on all things spirits -- and showing us the best ways to drink them. Today: A celebration of the golden age of cocktails, in liquid form, that's bound to make the rest of your summer better. The Raffles Hotel in Singapore, circa the early 20th century, is evocative of everything romantic in cocktail culture: Hemmingway and Maugham in wrinkled linen arguing over whether or not the last tiger in Singapore was truly shot under Raffle’s pool table; women in evening gowns waltzing on the North Bridge. And bartender Ngiam Tong Boon presiding over the famed Long Bar in an immaculate white jacket, shaking up the only cure for constant equatorial humidity: the Singapore Sling. Like all drinks that became very famous very fast, the origins of the sling are difficult to pinpoint. Cocktail historian David Wondrich cites 1897 as the first date a sling was mentioned in a Singapore newspaper, 18 years before Ngiam was purported to mix his own version. The sling of the time was most likely a simple combination of spirit, water, citrus, sugar, and bitters, but by the time Prohibition started there were already a myriad of variations. The one that eventually rose to the top was the version served at Raffles, with gin, Benedictine, cherry brandy, bitters, and citrus. More: Unfamiliar with bitters? Learn all about them. Unfortunately, if you go to the Long Bar now you’ll get a Singapore Sling made out of a mix served in a souvenir glass, with a dubious recipe printed on the coaster -- a practice that reminds me of another famous cocktail now relegated to a shadow of its former self. But thankfully Ted Haigh has put together a fair imitation of what that sling may have been like; his version, slightly adapted, is my go-to. 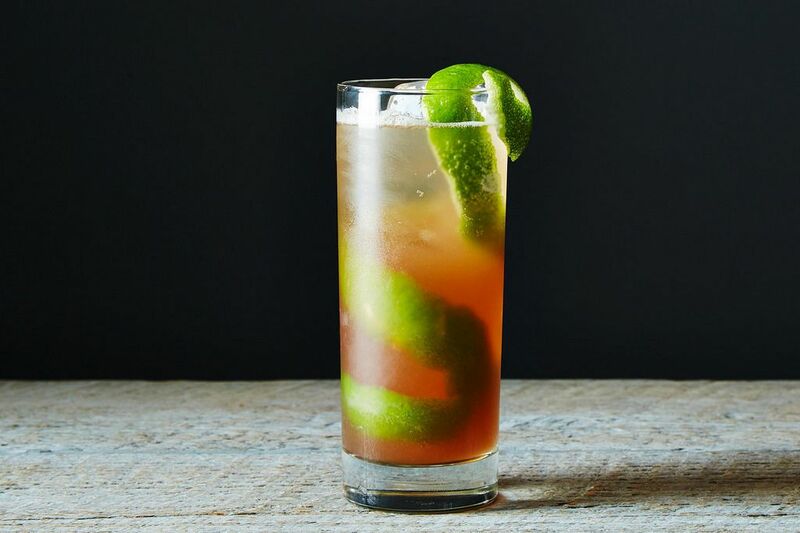 The Singapore Sling was a kind of proto-Tiki drink, and much like its offspring, it has a lengthy list of ingredients. But if you take the time to assemble what you need, you'll be rewarded with an herbal, sweet-tart, and refreshing cooler with a seductive red color. Enjoy one on those sultry summer nights when the humidity is so high that even sunset brings no relief. Linen pants and literati optional, but highly recommended. I like cocktail recipes, especially ones that use real grenadine and real maraschinos, since I make them and they are in the fridge. We had Singapore Slings at the Long Bar a couple of years ago, and they were $45 a piece! I'd been making them for years, using a recipe from a lithograph showing a bartender madly concocting and shaking away. A copy of that picture is still hanging at the Long Bar, but as Erik Lombardo says, there's not much individual concocting or shaking going on there now. 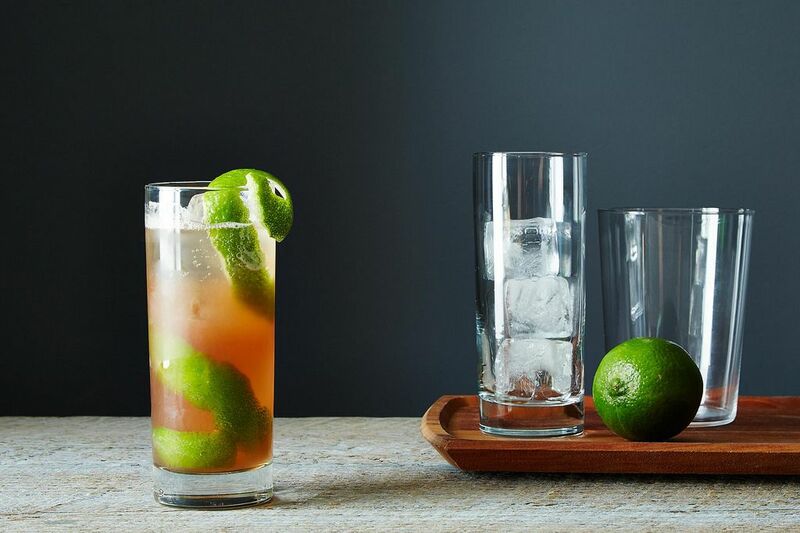 Ironically, I mostly make my Singapore Slings for a crowd, and I serve them from a pitcher, making them fairly authentic to the Long Bar of today. I put lots of ice in the pitcher, so that as the event wears on, my guests are getting less and less alcohol content. Another hint when you're making them for a crowd--I generally leave out the Benedictine. It's pricey and mostly just adds to the sweetness of the drink. $45 a piece?! You should have stopped by on shoot day -- they would have been on the house.